East Asia has re-emerged after a long eclipse as a centre of world wealth creation and growth. Over the past four decades the region’s share of world GDP has risen from less than 10 to 30 percent, a ratio that is set to rise to 40 percent by 2030. What has made East Asia’s remarkable ascent possible, and what does this economic rebalancing between East and West mean for world politics? 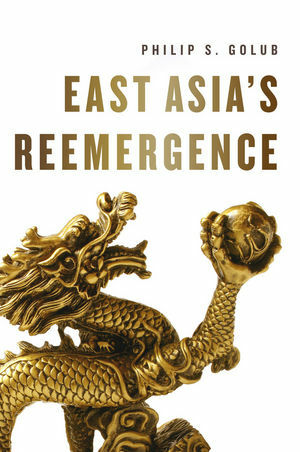 In this insightful and provocative book, Philip Golub addresses these questions, tracing the region’s rise from the early modern European-Asian encounter to the imperial confrontations of the nineteenth century, and China’s state capitalist turn in the latter half of the twentieth century. Together, he argues, the dynamics of imperialism, war and revolution led to the constitution of developmental states that made possible East Asia’s return to a central position in the global economy. Combining rich historical narrative and social theory, this book is an invaluable guide to one of the core issues in world politics today. "In contrast to other regions born of empire, South Asia has emerged as the locus of both hyper-advanced actors in global capitalism, and the source of the most significant counter-systemic challenge to it. Will the region survive these seeming contradictions, and what will be the effect on the rebalancing of global power? Philip Golubs timely study provides a unique perspective on these contradictory trend, and illuminating answers to these questions. This is an eminently readable and intellectually stimulating study by one of the most astute observers of global trends."